It's almost that time again! 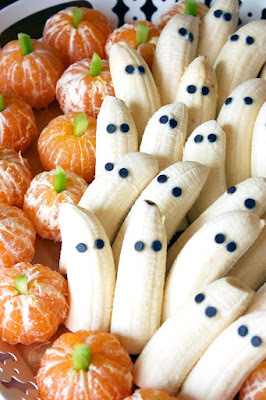 Our yearly Halloween party, which I just love planning for. In case you're throwing your own, or looking for some inspiration, I've rounded up all the things to bring ours to life this year. 1. This delicious looking fall sangria to start the party off right. 2. Pumpkin painting in the brisk fall weather (I hope! ), complete with butcher paper labeled with everyone's place. 3. 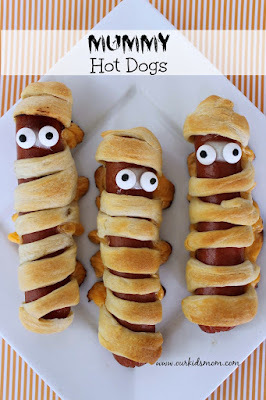 On the menu: these mummy hot dogs, Halloween inspired skewers, "pumpkins" and "ghosts". I like having some healthy options so that it's not all candy and cookies (and then sick kids). 4. Cookie decorating, compliments of my mother in law who just happened to whip up about 5 dozen gingerbread shaped sugar cookies, just begging for white zig-zagged frosting to transform them into mummies. 5. 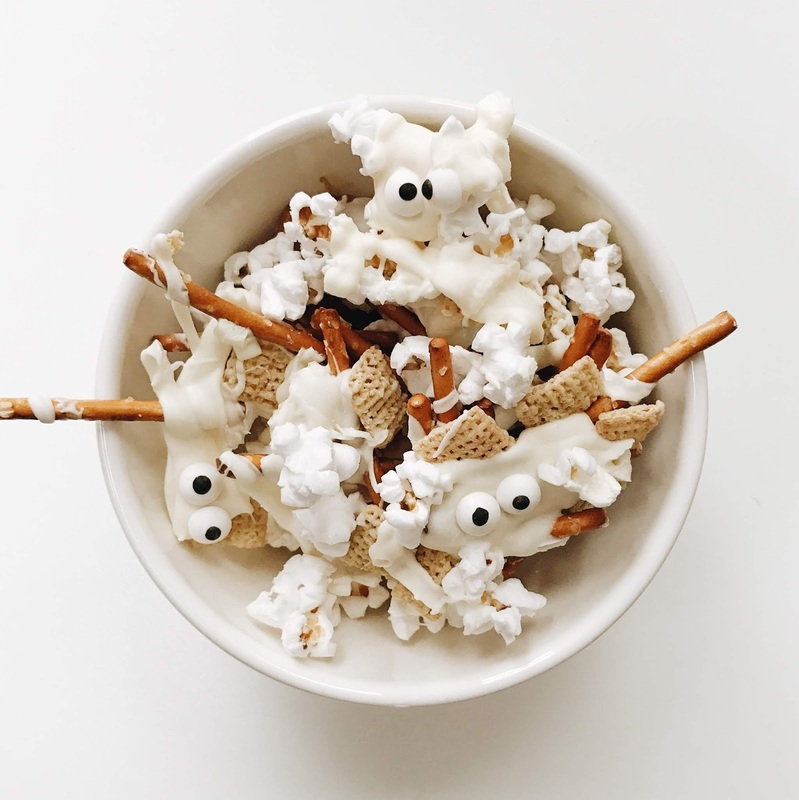 The cutest (spookiest) trail mix you ever did see. 6. Room on the Broom on Netflix, followed by a Halloween playlist on Spotify that has every version of The Monster Mash known to mankind. 7. 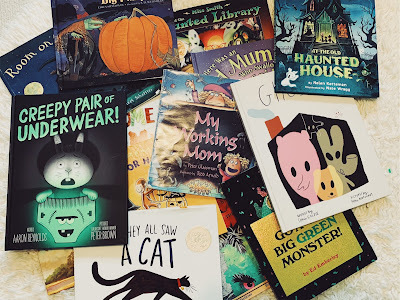 A big basket full (or mantle full, in our case) of Halloween books for all the kids to flip through. Our current favorites are "Creepy Pair of Underwear", "They All Saw A Cat", "Bonaparte Falls Apart", and "There's a Monster in Your Book". Books make the best decorations and set the scene. 8. A cozy fire in the fireplace to set the Halloween mood. 9. And finally, lots of play time with all the kids, dressed in costume and in character. I must admit, I was never a Halloween person or a huge fan of the holiday, but seeing how excited the boys are has changed all that. Bring on the weekend and the craziness! We are so ready!